One pot pasta looks oh-so-yummy on so many bloggers’ Instagram photos. 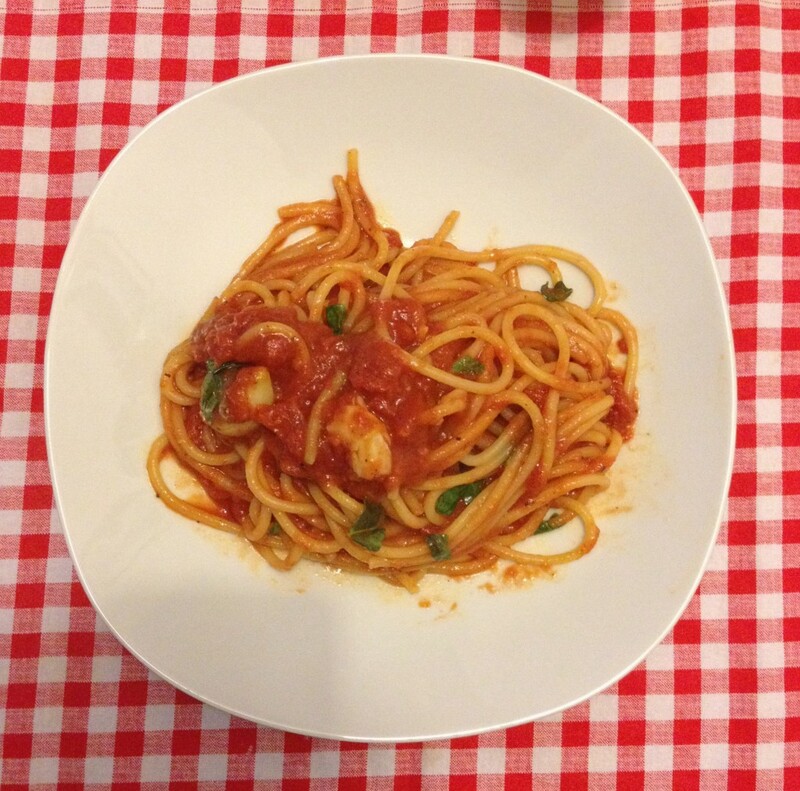 The different colours of the pasta, tomatoes, onion and basil make it delicious to the eye. Also, pasta is always a good idea. Mr A seemed to agree when we compiled last week’s meal plan and there it was: Friday – One pot pasta. Just like so often, I couldn’t decide on a recipe but simply went freestyle, inspired by all the different compositions I’d come across in my feed. I made a simple tomato sauce with extra water and it was beautiful. In a big enough pot heat olive oil and add garlic. Fry for a minute or two, careful it doesn’t burn (garlic burns really easily). Cautiously add the tomatoes – it will boil (and spatter) vigorously. Fill the now empty can with water (approx. 250ml) and add to the pot, stir, then add the onion, tomato paste, mustard and spaghetti. Turn down the heat and let it simmer until the pasta is al dente (or however soft you like it). 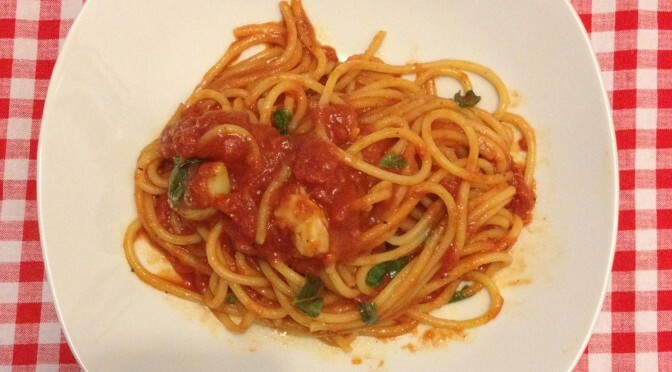 The starch from the pasta makes the sauce especially creamy and thick – almost as if there was mozzarella cheese in it. If it gets too thick, add more water. Just before serving stir in a handful of chopped basil leaves. Trust me, you are going to love it! Have you had a go at one pot pasta? What did you think? Do you have any recommendations regarding the ideal shape of the pasta or the perfect combination of veggies?